Oslo, September 25th, 2018 — Acon Digital has released version 2.0 of Equalize. The new version of this versatile parametric equalizer plug-in includes two new filter types — tilt and bandpass. It now offers a total of eight different filters. Just like the previously available filters, both the tilt and bandpass filters offer the unique continuously adjustable filter slopes in the range 3 to 120 dB per octave. 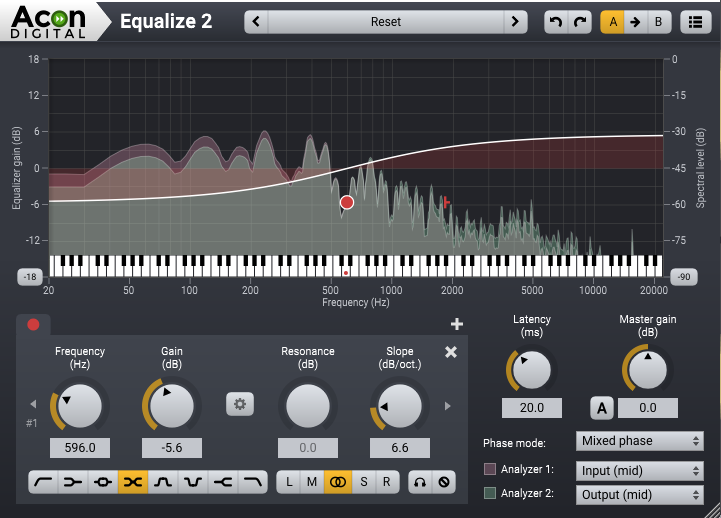 Equalize 2 is available for $99.90 USD as of today from the Acon Digital Store. Equalize 1.x customers are entitled to a free upgrade.